The emails were rolling in. Twenty percent, 30%, 40%, 50%, and sometimes even 80% (looking at you, The RealReal). The holiday season is supposed to be the time when brands print money—some companies make over 50% of their revenue in the fourth quarter alone—but instead, they burnt it. Discount after discount created a sea of red and neon, screaming TAKE THESE THINGS OFF OF OUR HANDS. This year’s 96-hour window from Black Friday to Cyber Monday was one of the most aggressive instances of discounting in years. While some brands abstained from the madness (more on this later), most enrolled, aligning their brands with discounting despite the corrosive effects of this mechanism. Discounting is all about psychology; even if a company usually sells an item for $6, but is now selling it for $12 with a 50% off coupon, people will think the former option is a better deal than the latter. Discounts anchor prices relative to another number, thus creating the idea of value, versus pricing that stands on its own. Black Friday debuted at the turn of the 20th century, when department stores—most famously Macy’s—sponsored Thanksgiving Day parades. The sponsorship vehicle allowed the department stores to launch their big holiday advertising campaigns, and it became an unspoken rule that no one would roll out these campaigns prior to the parades. In turn, the day after Thanksgiving became Black Friday, the official beginning of the holiday shopping season. Cyber Monday, coined in 2005, became the online equivalent of Black Friday. But more recently, many brands have merged the individual shopping days into a 96-hour window of sales and promotions. The problem, however, is that these two sales holidays have intensified the race-to-the-bottom among brands and retailers, undermining their theoretical aim to create sustainable businesses, which are difficult to muster when FOMO drives the industry’s mindset. In turn, discounting becomes the commons—a practice that affects every business individually, but lacks collective action to change for the better. Not to mention the compression of the shopping cycle, which further disincentivizes shopping before and after the sales holidays. Who wants to buy something a week after it was 30% off? While department stores set the foundation for this tradition, it’s perhaps unexpected that even retailers like Macy’s were not discount-driven in the beginning. 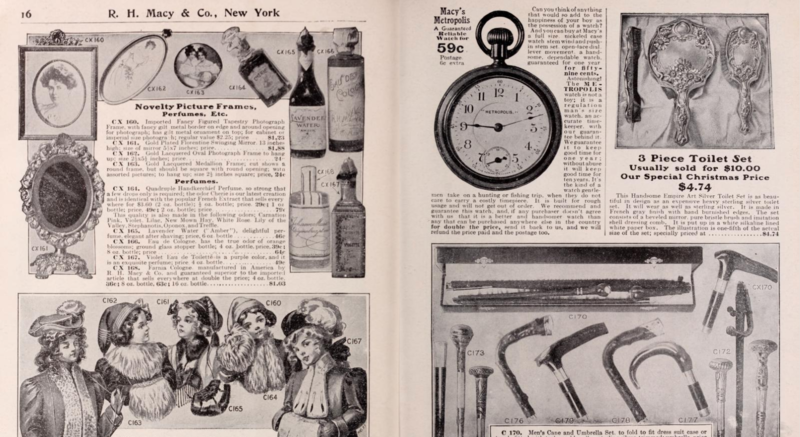 Browsing a 1911 Macy’s catalog showcases thousands of products offered at a single price. There are no discounts to be seen—even a 1906 Christmas catalog only mentions low prices. 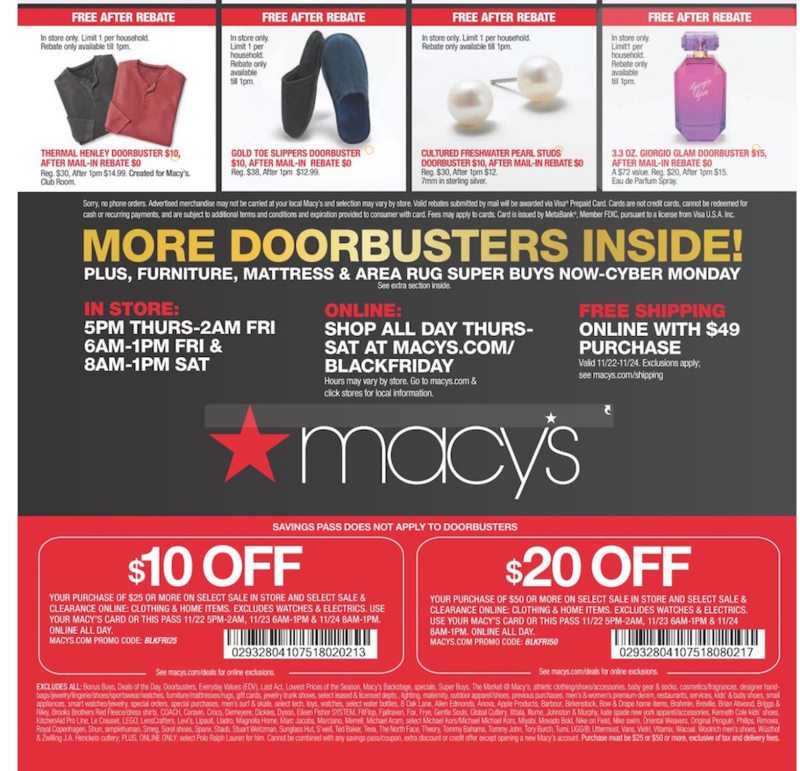 “We have enjoyed underselling supremacy in New York City for many years,” declares Macy’s in the beginning of the catalog, speaking to its already-low prices—a predecessor to modern-day Amazon. But compared to the state of our current industry, and Macy’s current discount-heavy strategy, excessive discounting is a negative departure from the old-school merchandising playbook. The final option is pushback on the very significance of the tradition. Some brands have done this lightly by closing on Black Friday (Noah shuts down for the holiday) while others have shifted their focus to donating a portion of profits to reputable causes (Everlane, Patagonia). While this is admirable, brands should go further to challenge the very existence of these shopping events, knowing they have very negative long-term effects. Nothing will change if brands don’t step up, since FOMO, especially when it includes customer acquisition, is an all-too-powerful force. But unfortunately the system is built as an opt-out right now, not an opt-in. Generally speaking, companies should use incentives to smooth out demand. Uber is the simplest example, since cars are more expensive during peak times (Saturday nights) than off-peak times (Sunday afternoon). A Saturday night could see prices two- to three-times that of a Sunday afternoon—effectively a negative discount that encourages people to find other means of transportation and drivers to get on the road in order to balance out supply and demand. But what if Uber decided to offer discounts (30% off) on Saturday nights? Sure, customers would love it, but it would be catastrophic to the business, since drivers would be less incentivized to drive and the company would risk losing money on nearly every ride, assuming there was any supply of cars to begin with. Retail has it backwards. If the shopping season begins on Black Friday, then the goal should be encouraging people to do their shopping before then, and using incentives (but not discounts) to encourage it. This would allow companies to better forecast demand, even out cash flow, and reward shoppers who plan ahead. Brands and retailers alike need to think more holistically about the seasonality of their businesses and where they make money. They should put all 12 months of the year to work, not just the last two.